or we can machine to length (for minimum 6). 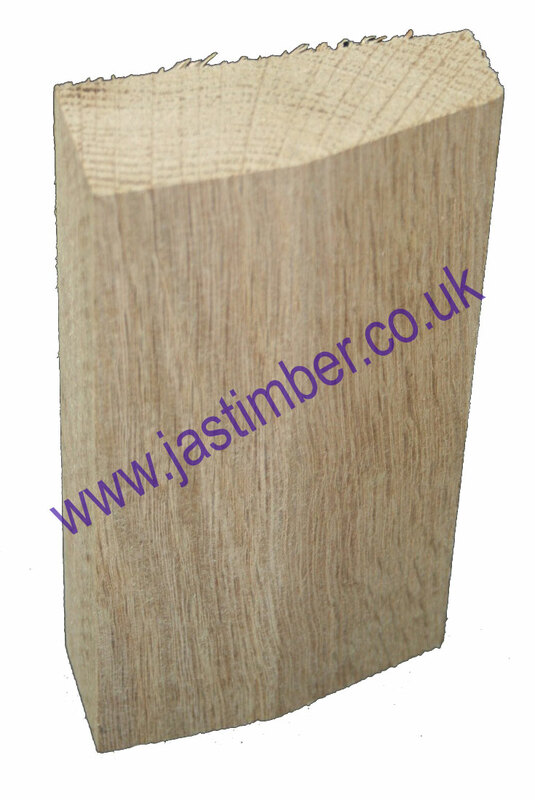 82mm Oak timber width, or we can machine to width (for minimum 12). 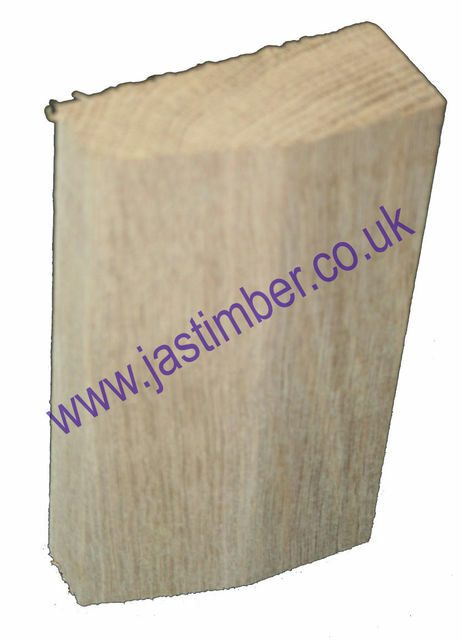 32/33mm Oak timber thickness, or we can machine to thickness (for minimum 12). These Oak Plinth Blocks are unfinished timber "in the white" and require finish-sanding before decoration. American White Oak Timber is a natural product - variations in knots, colour and grain should be expected - they are not defects. Profiled Moulded Oak sizes are generally ±1mm on thickness / ±2mm on width with one splitter saw edge & ±2mm workshop cross-cutting tolerance although - be aware: For a multitude of reasons, size and profile of timber may vary from batch to batch, so it is best to purchase all you need for a job in one go, rather than buying more at a later date. Some Mouldings are not recommended anyway if parts of the moulding are too thin or not suitable for the purpose, or there is a more suitable moulding. Oak Plinth Blocks are unfinished timber "in the white" with a cross-cut sawn top, and bottom end-grain - they require finish-sanding before decoration. - We cannot exchange any Timber Product once work has commenced. Larger orders, Made to Size Plinth Blocks, and Direct Deliveries are supplied as a Special Order. Haulier Delivery of Machined Oak by pallet can be arranged for larger quantities of Oak Planed Timber. E. & O.E. see T&C - We do try to keep prices and specifi­cations of Prepared Oak Plinth Blocks correct, but mistakes can be made!